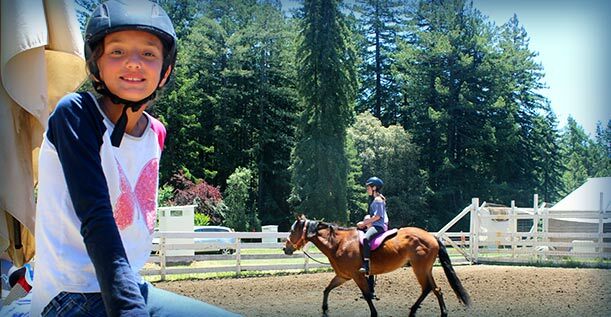 Every day at camp we create a program that blends farm and ranch involvement with traditional summer camp activities. Though we keep a very consistent daily schedule, the program that we offer is always filled with variety. Campers and staff play a role in helping design the program each day and are always encouraged to give input to directors. Our morning and afternoon activities are always free choice, and after campers hear all of the activities that are offered for that period they are free to sign up for whatever they would like! There are a few days in the summer where we offer specialty programs that take us outside of the framework of our daily schedule. They are listed and described below. Occurs every Wednesday night and Thursday morning. Campers get together with their unit and unit counselors to cook over the fire, play games and go out on an all-day adventure. Occurs during the second week of Session 1A and 2A, units spend their afternoon activity period preparing a dish and decorating their unit to resemble a country of their choosing. That evening all of the units move around the camp, visiting each country and sampling their cuisine in a progressive dinner. Runs for four week campers on the day in between two week sessions. Campers hike down the Stump Beach trail and have a picnic on the beach for the afternoon. Occurs on the last night of Session 1B and 2B, campers and staff prepare material over the final few days of camp to perform in front of all the camp in the barn.